"I warn everybody -- the book is a little heavy. It's like a Bible." Juyoung Kang is talking about the whiskey and spirits list at Emeril Lagasse's Delmonico Steakhouse. This tome, known affectionately as the "Book of Whisky" (Scottish style -- without the "e"), represents not just one of the best collections in Las Vegas, but the entire United States. As the lead mixologist for the restaurant, Kang has her hands full keeping everything in order. Along with the cocktail menu, this remarkable collection was just updated -- and now spans more than 40 pages and features more than 700 spirits from nine countries. Kang is quick to point out that unlike other collections of similar size, Delmonico Steakhouse actually sells a huge chunk of it. "If I get [an allocation] for the year, I'm probably done with it by the end of that year." So what's big these days? 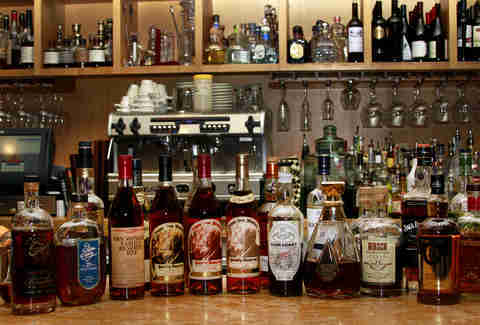 "Bourbon is still a huge hit. Everybody wants bourbon," she says. 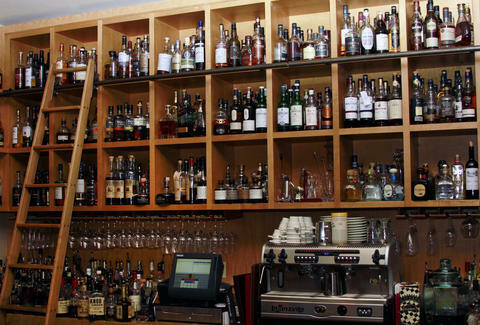 "They want every different kind of bourbon you can think of. Rye is getting really big." The demand for Scotch tends to go up and down, however. She notices guys will often order it when they start turning 30 years old. "They want to try a Scotch because they think that's a grown man's drink," she adds with a laugh. 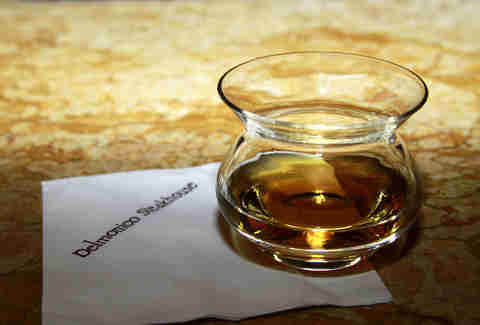 Delmonico specializes in hard-to-find verticals -- or whiskeys of different ages or editions from the same distillery. Some of her top choices right now include Booker's 25th Anniversary 10-year-old bourbon, which was limited to just 6,000 bottles when released in 2014 ("I still have a few bottles hidden upstairs") and the incoming 10th edition release of Parker's Heritage 24-year-old bottled-in-bond bourbon ("I was lucky enough to get two bottles"). A "bonded" product follows an especially strict set of guidelines and regulations when being made. A serving of Chivas Regal Royal Salute 62 Gun Salute sells for $535 per serving. It's been aged for at least 40 years. Kang is one of the most knowledgeable bartenders in Las Vegas, according to Mike Olsen, director of operations for Emeril Lagasse's Las Vegas properties. "We have a very educated individual who can accommodate a guest, and who's into whiskey -- who studies it, drinks it, loves it, and is passionate about it." 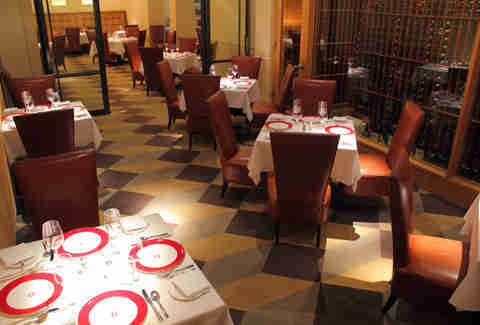 Part of Delmonico's strategy is to bring in spirits from around the world. The listing for Scotch alone features 10 subcategories, and there are also whiskies from countries like India, Tasmania, and Taiwan. "If it's out there -- anywhere in the world -- we're going to try and go after it," says Olsen. Delmonico Steakhouse opened on the Strip inside the Venetian resort and casino 17 years ago -- but you don't grow an amazing arsenal of spirits overnight. Max Solano, a veteran of Lagasse's culinary empire, joined Delmonico Steakhouse in 2009, and was a major part in shaping the spirits list. "My plan was realistically a five-year plan," he says. "When I took over the program itself, there were 35 or 40 whiskeys. So I wanted to see what specific categories of whiskey would do well. It turned out we were getting demand for all sorts." Fortunately, Delmonico had the resources -- and support from Lagasse himself -- to build the collection, but the spending had to be done strategically, while stockpiling brands that showed promise. "I got a lot of grief over the years because our inventory increased dramatically," adds Solano. "But the way I see it, it's not a financial liability. It's an investment. Historically, spirits have the best margin of profit over wine and beer." Solano eventually left in 2015 and took a job at Southern Glazer's Wine & Spirits -- the top distributor of alcohol in the nation. 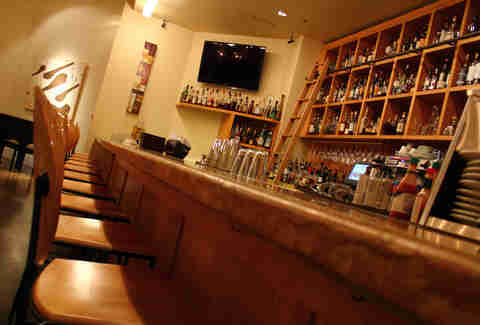 Kang was brought in from the now-closed Blvd Cocktail Company at the LINQ (following a stint at Commonwealth's infamous Laundry Room speakeasy) and handed the overwhelming task of continuing the bar program. She says a big part of her job is staying on top of current information -- educating herself as well as the restaurant's customers -- who are becoming dramatically better informed about spirits and drinking. "The demand and knowledge that the guests have acquired has increased," she says. "They know a lot more. They study a lot more. Google definitely helps." But don't believe everything you read online. Sometimes misconceptions have to be corrected. For example, not all bourbon is from Kentucky. It simply must be produced in the United States and follow certain guidelines -- like being made from a grain mix that's at least 51% corn and aged in charred oak containers. Kang says West Virginia, Tennessee, and Georgia are among the states with booming bourbon programs, but Texas could be showing the most promise. "They produce a lot, but have a hard time getting it out [of the state]," she says. "Seattle is another market that's blowing up." Japanese whiskies are continuing to grow in popularity -- with 12 options currently offered at Delmonico. They're seen by some drinkers as exotic or mysterious, although as Kang points out, Japan is simply a region that tends to follow the same process that's used to make Scotch. The restaurant has evolved over the years and modified its approach, sometimes in small ways. For example, flights are no longer offered. Instead, guests can order a full shot or a half-shot (for half-price) as a way to experience a greater variety of spirits. While Delmonico is known best for its vast array of whiskey -- including bourbon, rye, and Scotch -- it would be criminal to overlook its wine collection, which adds up to about 2,400 different options. Total it all together and "that's about as big an inventory that I've ever seen," Olsen says. As you can imagine, the training is intense, and big on small details. The captains are required to be familiar with everything that can be poured into a glass, and the restaurant has seen a low turnover of employees over the years. "If you're going to move up to the captain or the bartender level, you've spent years and years here working your way up to that position, learning and being exposed to all this product," adds Olsen. There are so many options to choose from, it's almost criminal not to be adventurous when going over the long list, and Olsen recommends seeking out whiskeys crafted by smaller distilleries. "The craft, the care, and the hands-on treatment of making it can be lost sometimes when you have too big of a production going," she says. "When you've got smaller craft houses that really are involved in taste and are part of the whole process, I think the outcome can be legitimately better." Rob Kachelriess has been writing about Las Vegas for Thrillist for more than three years. He thinks steak and whiskey is a good combo. Follow him on Twitter @rkachelriess.